The current volatile economic climate is prompting rumors of retrenchments in almost every industry, but there are ways companies can cut costs without having to reduce their staff complement. Converting from paper to email communication significantly reduces operational costs and affords companies with a substantial ROI. 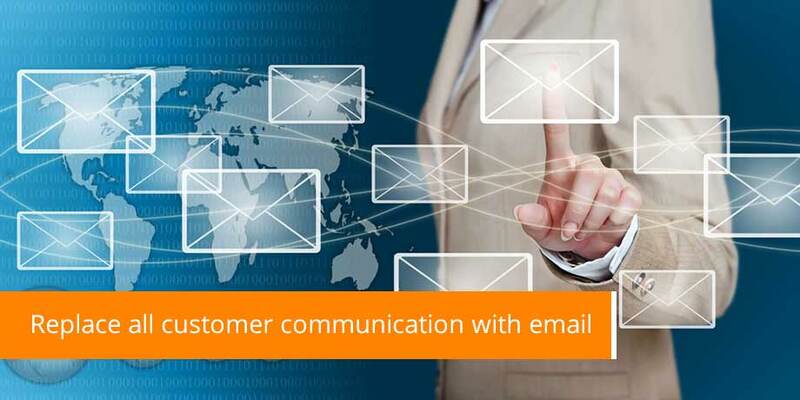 Striata encourages businesses to save by replacing all paper based customer communications with email. “Businesses should seriously have a look at their operating costs and see where they can cut back. By removing paper, mailing and manual processing, operating costs can be reduced by between 65-85%, with minimal capital outlay. Remember, the financial benefit for eBilling doesn’t work only for companies with lots of customers which are typically Business-to-Consumer focused. It also works for Business-to-Business companies that have a small client base, but where the amount of information in each bill is enormous,” explains Striata. One of the key advantages of Striata’s electronic bill delivery solution is the personalized marketing opportunity that it provides. Paper bill stuffers are costly and ineffective – an eBill offers prime marketing ‘real-estate’ that is many times more effective than a paper bill stuffer. Striata goes on to say that a marketing budget often bears the brunt of cost cutting exercises however, through leveraging traditionally operational communication, companies can ensure targeted reduced cost marketing. “Effectiveness of marketing messages can also be monitored through open and click through rate tracking within the eBill.